I admit it, the header photo and the link to the complete photo set mentioned below, are only tangentially related to exhibits know-how. But they are just amazingly cool! 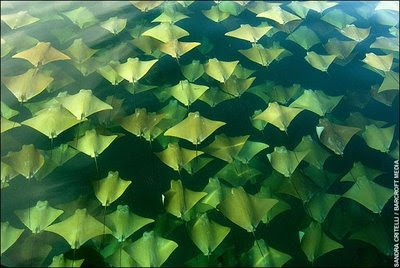 Amateur photographer Sandra Critelli came across the migrating rays while looking for whale sharks. The complete photo set is viewable at the Telegraph (UK) Newspaper site. Enjoy!